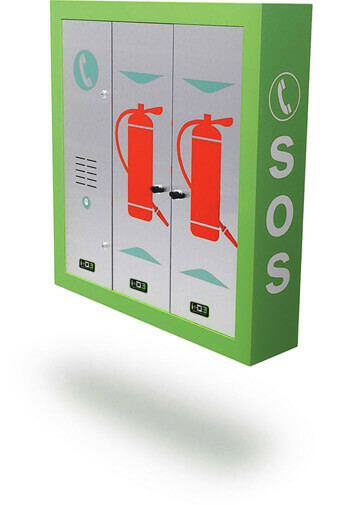 3SOS is a roadside assistance system, which offers different equipment to assist drivers. 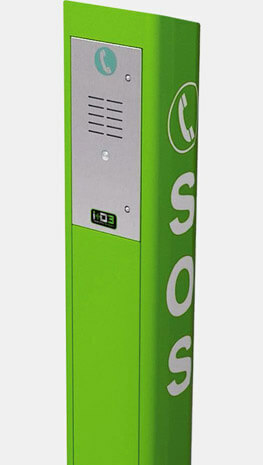 These SOS road equipment, such as SOS IP Call Box for highways and roads, or Tunnel IP Call Box, are directly connected with the central attendance, providing excellent audio quality. This emergency call box for drivers is focused for all types of highways, expressways and main roads. A solution to ensure to drivers who need immediate assistance and security. The call box has a powerful sound, counteracting the noise from other vehicles, and the Ethernet connection allows a fluid communication. This emergency call box allows to help drivers who have had any problems inside the tunnel. This team also has various compartments for extinguishers and hoses. Thanks to the Ethernet connection, it is possible to establish a perfect communication between the driver and the assistance center, a differentiated feature regarding mobile phones.